How long will this continue in the hearts of these lying prophets, who prophesy the delusions of their own minds? They think the dreams they tell one another will make my people forget my name, just as their ancestors forgot my name through Baal worship. Let the prophet who has a dream recount the dream, but let the one who has my word speak it faithfully! For what has straw to do with grain?” declares the Lord. “Is not my word like fire,” declares the Lord, “and like a hammer that breaks a rock in pieces?" “Therefore,” declares the Lord, “I am against the prophets who steal from one another words supposedly from me…They tell them and lead my people astray with their reckless lies, yet I did not send or appoint them. They do not benefit these people in the least,” declares the Lord.' "
The “name” of the Lord refers to his character and his nature. This is not merely referring to forgetting the name used to identify God. Instead, they are forgetting who he is. The false prophets with their false messages, false doctrine, and false philosophies cause the people to forget the true character of the Lord. Once the Lord’s “name”, “character”, “word” or “nature” are forgotten then the floodgates have been opened for lies, deception and false worldviews to replace the Truth. The example of Baal worship is used. In the past when Israel forgot the truth of the Lord they could no longer tell the difference between the character of Baal and the character of the Lord. In fact, Baal worship was much more understandable to the unrenewed mind of Israel. It was easier to accept Baal doctrine than to be transformed by the Truth. Here in Jeremiah 23 the Lord says the lies, the prophesies, the dreams and the teaching of the false prophets are doing the same thing. Jeremiah calls the dreams “straw” or “chaff” (Hb. teben). “Chaff” has nothing in common with the useful, nutritious “grain” of God’s Word. In this case the Word of God will consume the straw. The power of the Word of God will burn away any interest someone may have in a weird dream. Like a hammer, the Word of the Lord will pulverize all the idle notions that popular culture wants to present as helpful and encouraging words. It is interesting to notice that even in Jeremiah’s day when a false prophet’s words of encouragement (think of seminars presenting easy self-help steps) became popular among the people, the other false prophets would steal their teaching. As always, the market will be saturated with whatever the people are buying. The false prophets posing as “pastors” will teach from their pulpit whatever is filling the pews. Acts 22:24 – “The tribune ordered him to be brought into the barracks, saying that he should be examined by flogging, to find out why they were shouting against him like this." Mark 3:10 – “He had healed many, so that all who had diseases pressed around him to touch him." Mark 5:29 - "Immediately the flow of blood dried up, and she felt in her body that she was healed of her disease." Luke 7:21 – “In that hour he healed many people of diseases and plagues and evil spirits, and on many who were blind he bestowed sight." I will consider the teaching that I hear in church and from the pulpit. I will discern between the teaching of men and the Word of the Lord. I will avoid allowing the teaching of men to dull my understanding of the character of the Lord. 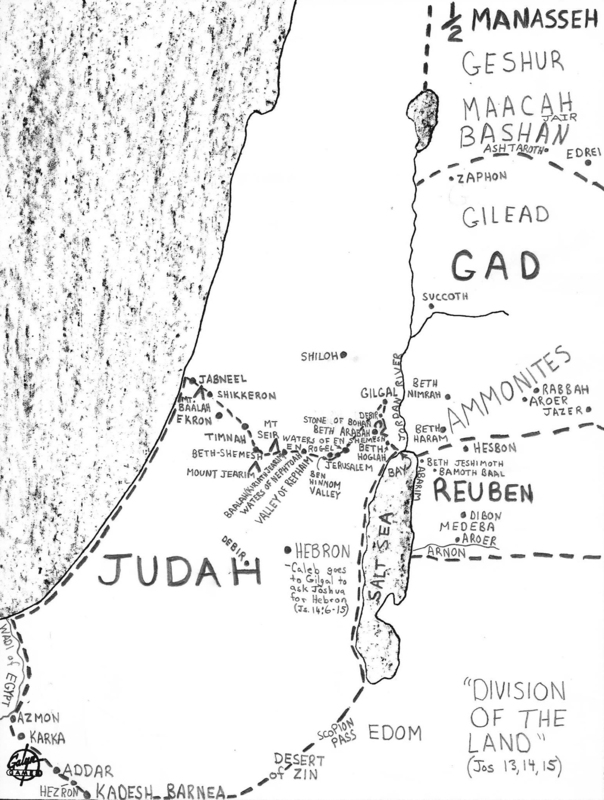 Details of the division of the Promised Land from Joshua 13, 14, 15 located on a map. "We say that those women who use drugs to bring on an abortion commit murder and will have to give an account to God for the abortion." • Greek word in Greek letters, • Greek word transliterated into English letters, • Pronunciation of the Greek word, • Reference to the base word or related word, • A brief definition and • Some English words used to translate the Greek word. The only skill the student needs is to know the Bible verse and numbers up to 5624. The same system is used for the Old Testament and Hebrew, but the numbers go up to 8674. Strong’s work is based on the best scholarship from the 1800’s, before the huge influx of ancient papyri were discovered and analyzed. 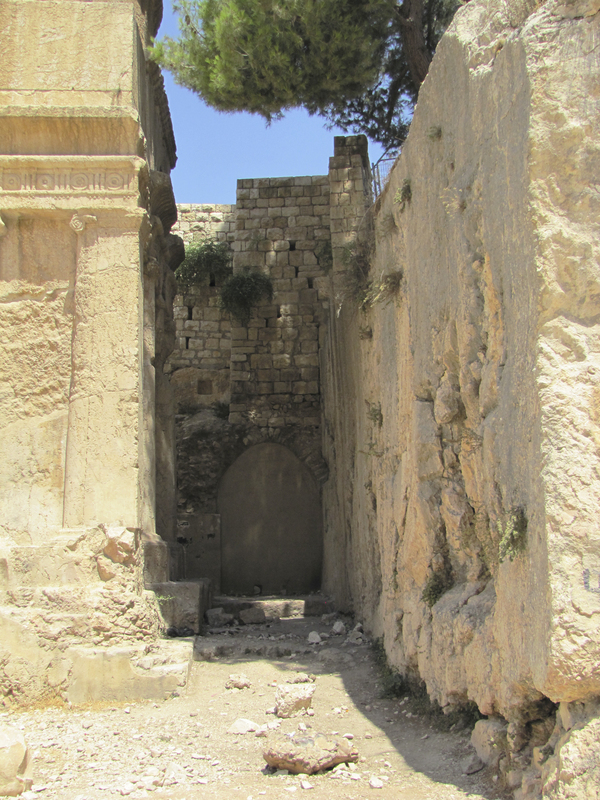 Kiriath Jearim mentioned in Joshua 9:17 and was the city that kept the Ark of the Covenant after the Tabernacle was destroyed by the Philistines. David brought the Ark of the Covenant from Kiriath Jearim to Jerusalem in 1 Chronicles 13:5-8. Kiriath Jearim has been identified and is partially excavated. Oh, that I had in the desert a lodging place for travelers, so that I might leave my people and go away from them; for they are all adulterers, a crowd of unfaithful people. “They make ready their tongue like a bow, to shoot lies; it is not by truth that they triumph in the land. They go from one sin to another; they do not acknowledge me,” declares the Lord. “Beware of your friends; do not trust anyone in your clan. For every one of them is a deceiver, and every friend a slanderer. Friend deceives friend, and no one speaks the truth. They have taught their tongues to lie; they weary themselves with sinning. I will weep and wail for the mountains and take up a lament concerning the wilderness grasslands. They are desolate and untraveled, and the lowing of cattle is not heard. The birds have all fled and the animals are gone. “Consider now! Call for the wailing women to come; send for the most skillful of them. Now, you women, hear the word of the Lord; open your ears to the words of his mouth. Teach your daughters how to wail; teach one another a lament. Death has climbed in through our windows and has entered our fortresses; it has removed the children from the streets and the young men from the public squares. but let the one who boasts boast about this: that they have the understanding to know me, that I am the Lord, who exercises kindness, justice and righteousness on earth, for in these I delight,” declares the Lord.